You are here: Home / Welcome, Blogland Tour! I’m taking a little break from my regularly scheduled Menu Plan Monday this week to participate in the Blogland tour. The tour is designed to introduce you to new fantastic bloggers around blogland and learn what drives them creatively. 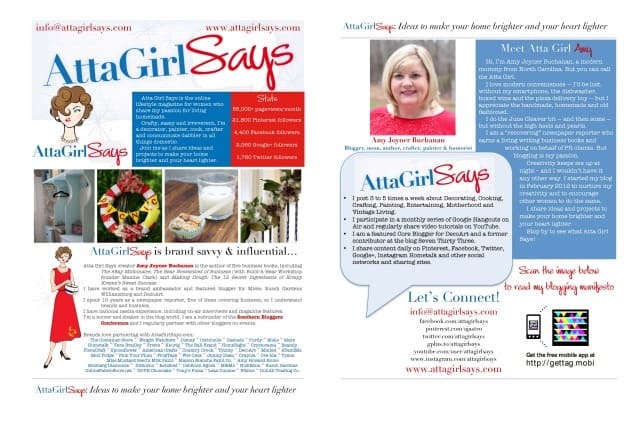 I was invited to participate from Amy at Atta Girl Says. 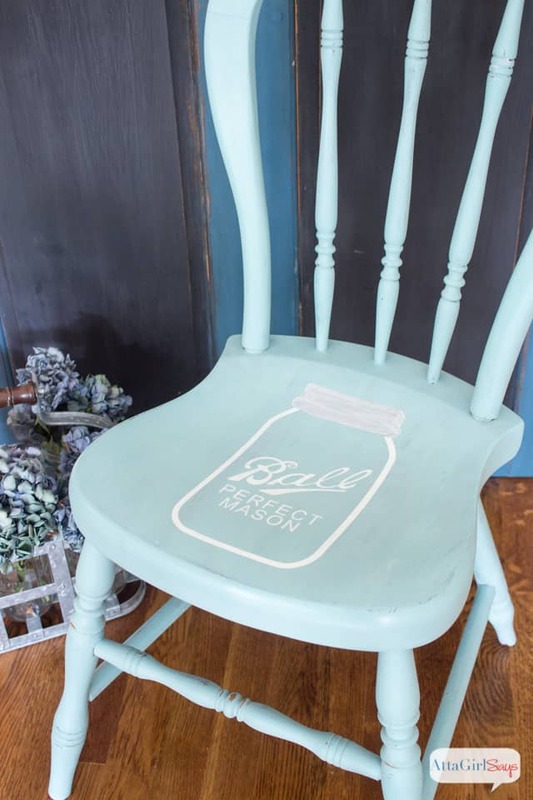 Beyond being savvy furniture painter, she shares her crafty, sassy, vintage-loving self on her blog daily. 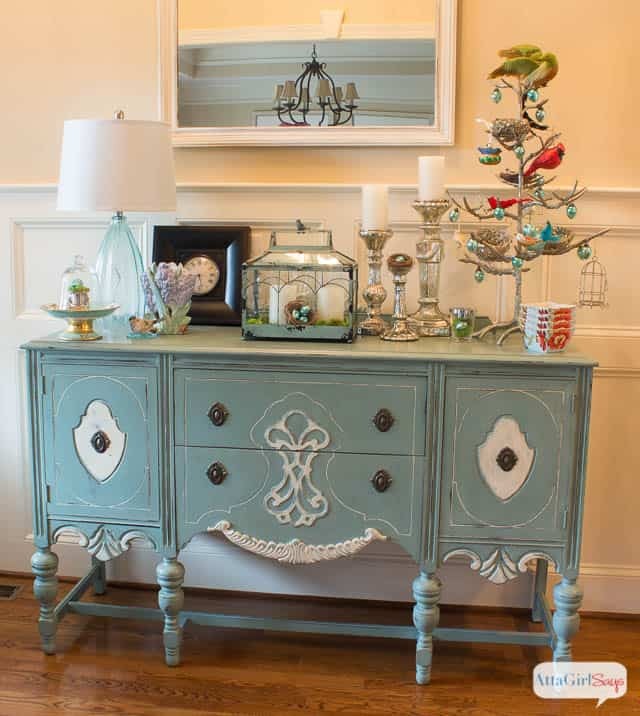 And what beautiful pieces of furniture and styling she creates! 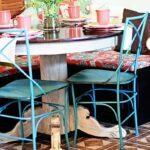 She started painting furniture when she moved into a bigger house three years ago and needed an affordable way to furnish…makeover madness got a bit out of hand. She kept finding wonderful pieces to paint so she opened a booth at an antique store and started doing custom work. 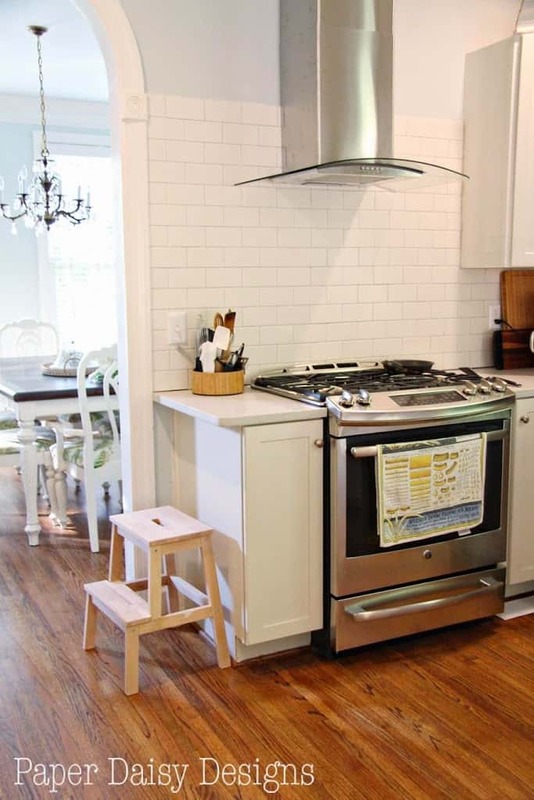 What’s not to love about her custom stools and chairs? 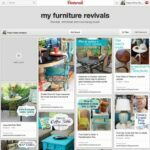 And like any good blogger, she shares how to create your own a Fabulous Chair Makeovers as well. Now it’s my turn to share my answers to the creative questions posed to me. My answer is not as simple as it would seem. I’m very rarely working on just one project at a time. Even if I’m not physically working on more than a couple projects at at time, my mind is always coming up with ways to improve my home’s decor without spending a lot of money. But to really answer the question, I’m still working on final touches of the kitchen renovation that grew beyond our original intentions. Overall, I’m taking a slow and deliberate approach to decorating in the “new” house. Every couple of day’s I’ll move things around or pull something out of the attic that might work in a new way. Want to see what I mean? Come on in our home and take a little peek. I am loving how my old pieces seem to have found new life in this house. The buffet that was once a “filler” piece in the old house under my gallery wall, is now a media console. 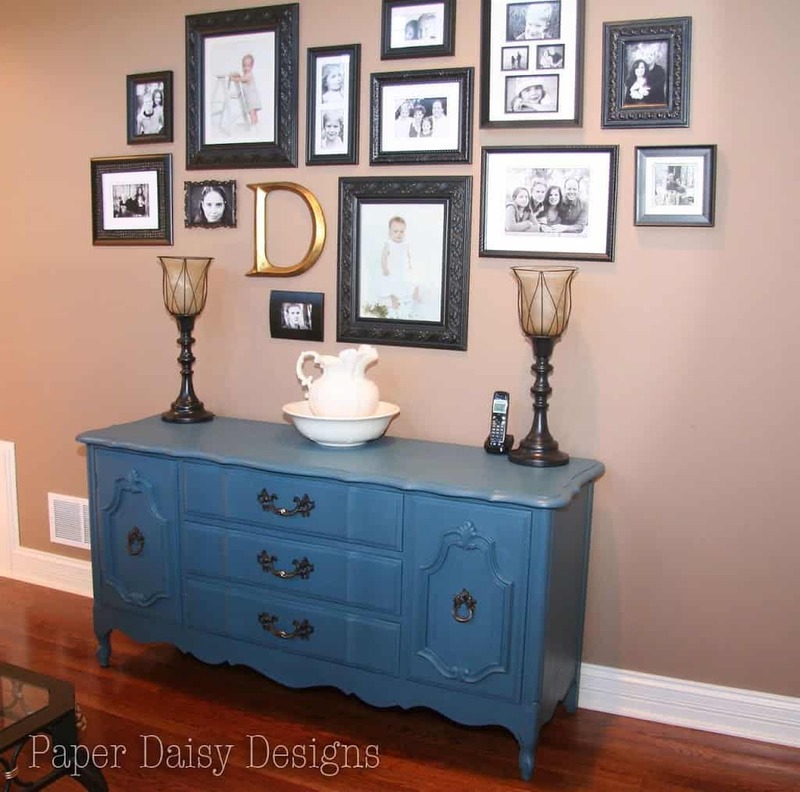 I think it’s a testament to the practicality of finding a quality piece at a great price and giving it a new life in your home. Generally, I’m looking to find a solution to a problem either in my home or a clients. Sometimes those solutions create an opportunity to try something new and different. I often try to find the most inexpensive way to achieve that goal, but not at the expense of quality. I am a perfectionist by nature, so don’t settle for a substandard outcome. 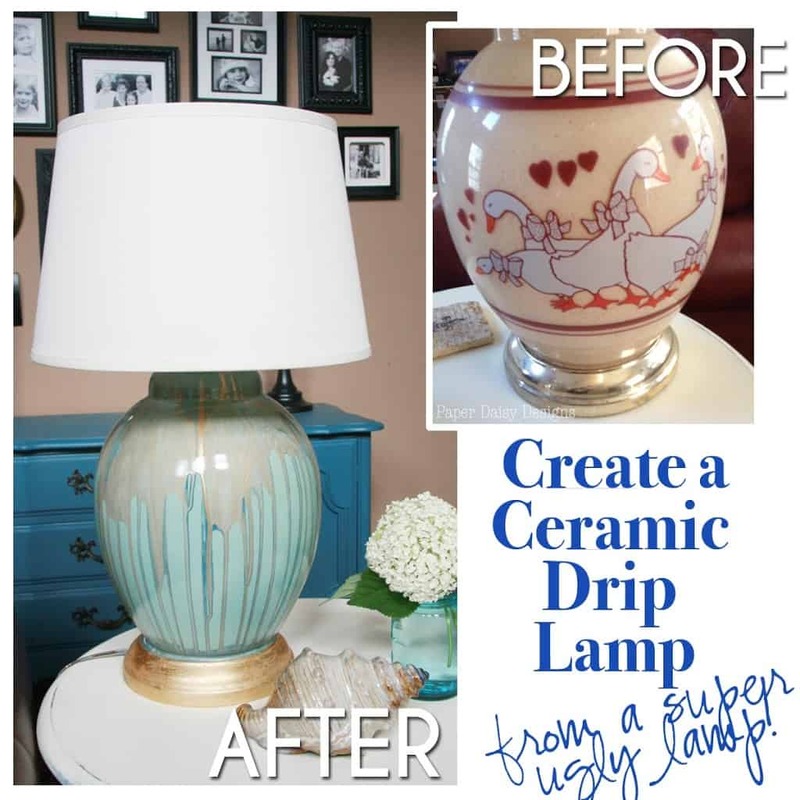 For example, my popular post on How to Create a Ceramic Drip Lamp. Drawn to large jar lamps at Pottery Barn, I found an oversized lamp at Salvation Army and figured out a way to make it look like drip ceramics. I have a passion for creating and trying new things and I hope that my work and the blog inspire others to step out of their comfort zone. I’m also very passionate about cooking and sharing how Menu Planning has helped my family. 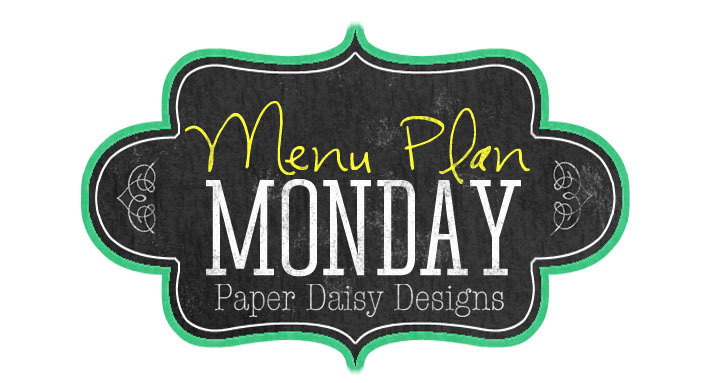 Every week I’m here sharing Menu Plan Monday and the recipes I create are on my companion site, Paper Daisy Kitchen. This is definitely a two sided question. I create because I have to. I started my blog as a way to share our lives with family far away. Eventually, I began sharing my scrapbook pages which were my creative outlet at the time. After working on a Design Team for a scrapbook company for a number of years, I was looking for another outlet for my need to “create something”. 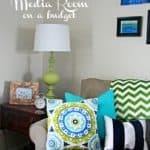 I wanted a new look for my home, but didn’t have a lot of money to spend so I started decorating with thrift store and Craig’s List finds. I continued to share my new adventures on the blog and found it to be a rewarding experience. I’m definitely more of a “doer” than a writer. I have honestly reached a point after the move that there’s so much to do that I have to force myself to stop and write. On the other hand, I love sharing what I do so that keeps me writing. Having just moved again, I really cherish the community found around blogging. Now, let me introduce you to some fellow bloggers who share similar passions for DIY. First up is Lindee Katdare of The Lindee Tree. I love her to the point, no nonsense bio. I am a right-brained, American woman married to a left-brained Indian man. 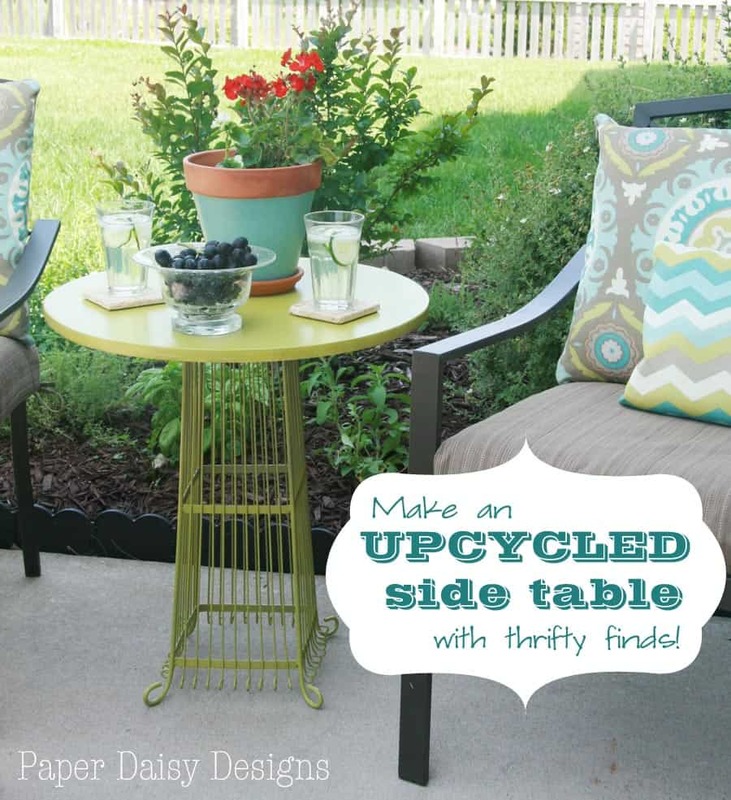 I love art, design, up-cycling and multiple DIY projects at the same time. He loves simplicity and order. I try to combine our personalities and cultural differences through art, design, food, and raising kids. 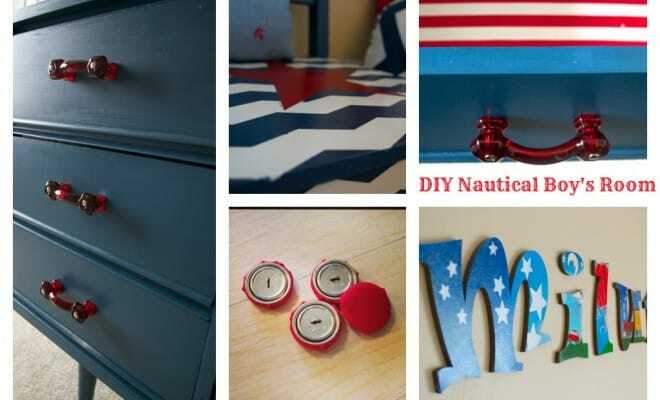 I think Lindee’s most recent Nautical Room Makeover is filled with some really great DIY gems. 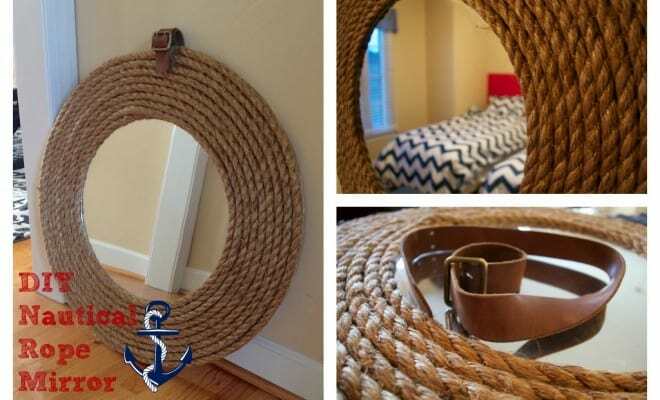 And be sure to check out her Nautical Rope Mirror, an inexpensive DIY anyone can do! And then there’s Denise Murtha of Denise Designed. 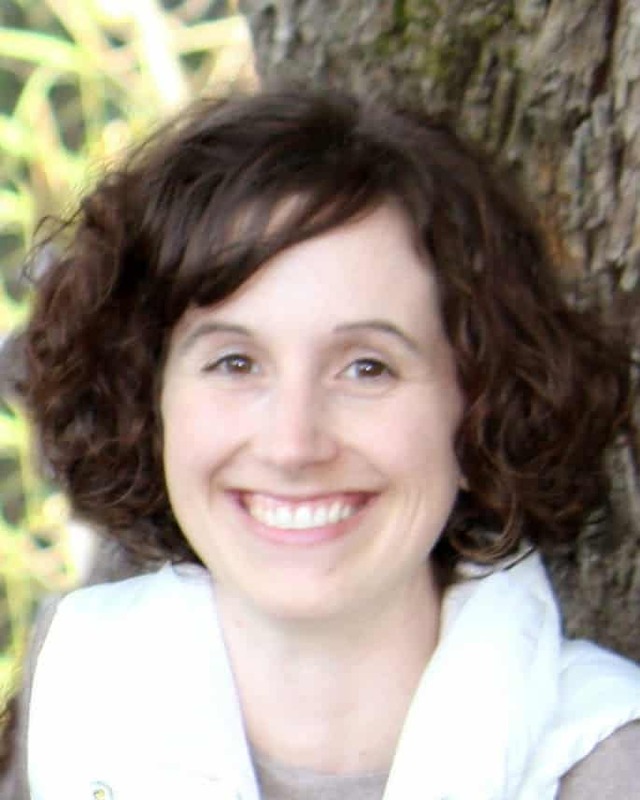 She created her blog in March of 2013. 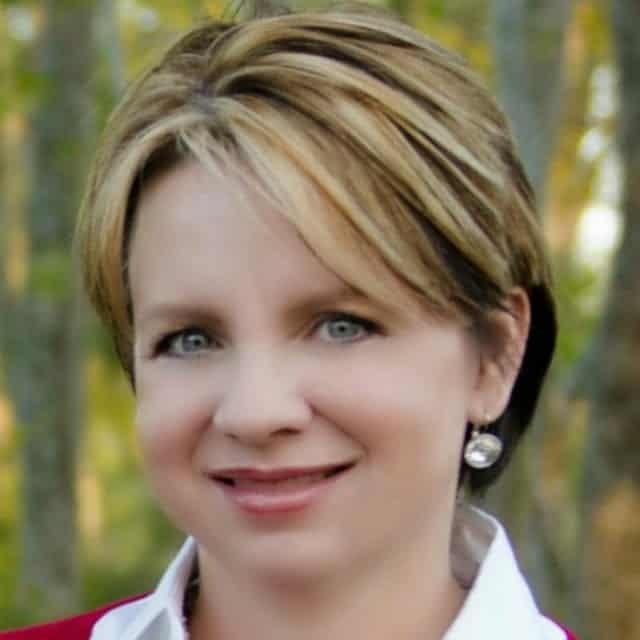 Denise Designed is where you will find home design inspiration and DIY tutorials along with many things Lifestyle and Business Related. Her goal is to inspire while being inspired herself. 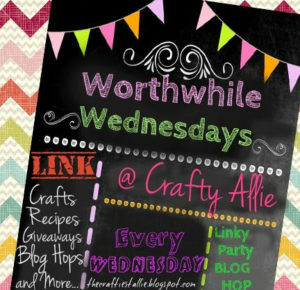 She’s a thrifty DIY’er, as well as, a hostess of two great link up parties, Share it Sunday and Worthwhile Wednesday’s. Each week, bloggers add their best projects to a list for you inspiration. It’s like the best of Pinterest twice a week! 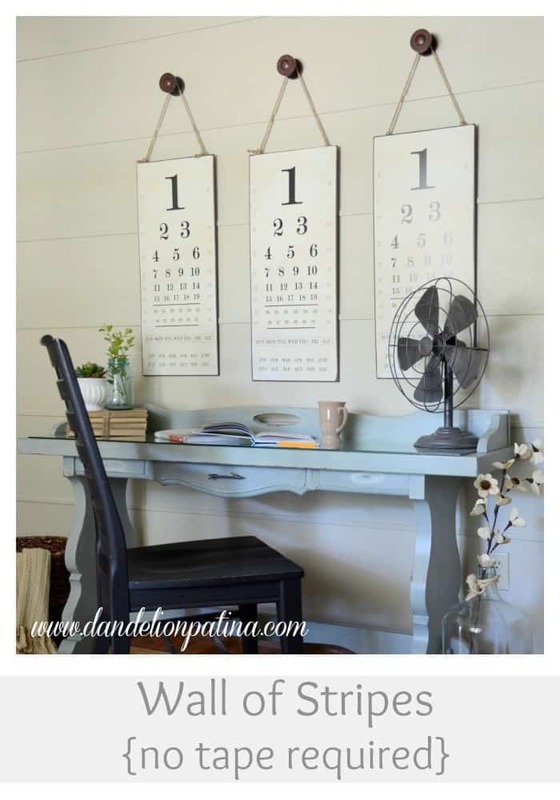 Be sure to also check out a few of her DIY projects. 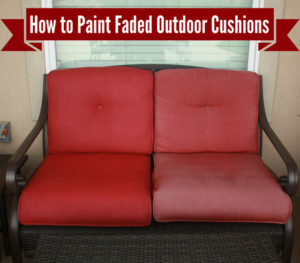 Most notably, she refreshed her outdoor patio cushions with paint! Next is the lovely, Michelle from Dandelion Patina. 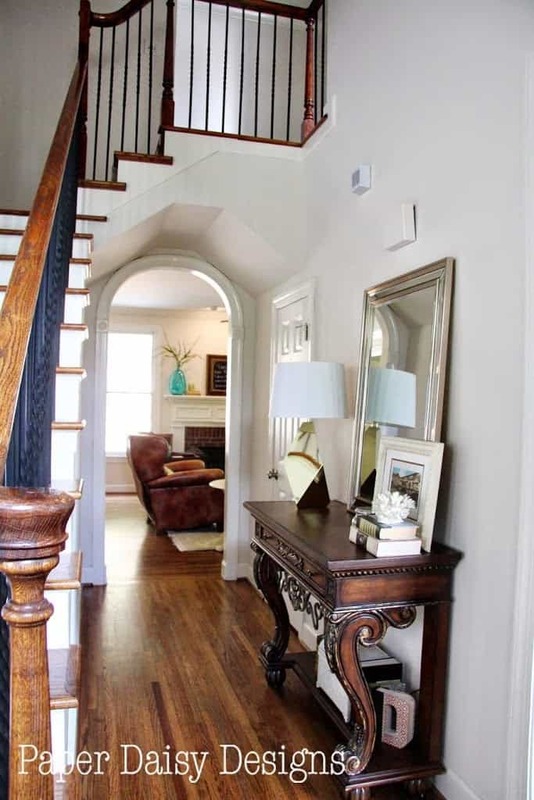 On her blog she shares transformations for the timeless & trendy home. Michelle is a Wisconsin gal and a creative spirit. 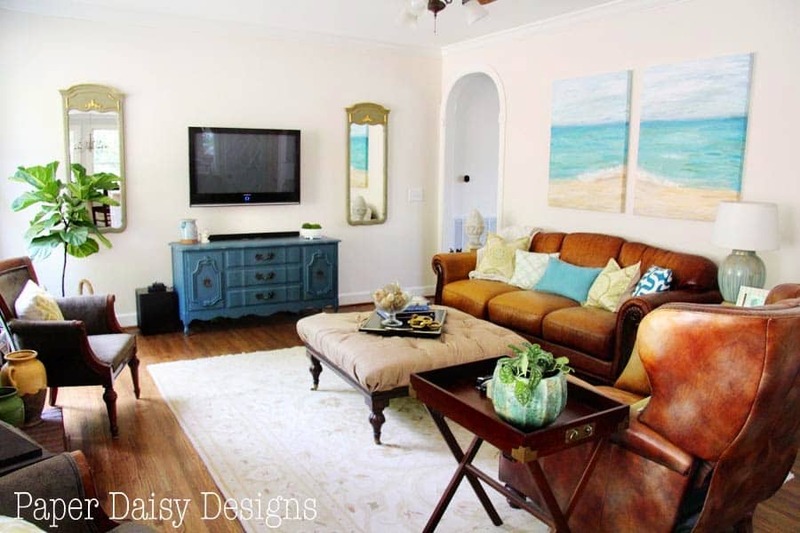 She loves coastal and farmhouse styles. 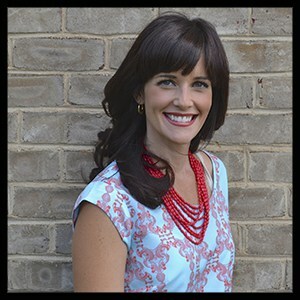 She uses her blog as her creative outlet to inspire others with DIY, painted pieces, decorating, and crafts for kiddos. Michelle believes each person has a story to tell in their homes and that story does not require expensive decor. Pieces that create a special memory and have that collected over time feel make a home special. A home that is timeless and trendy. 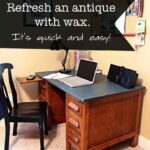 Not only does she feature projects that are on trend on her blog, she’s all about making DIY easier. Check out this post for her take on a striped wall. And she’s a girl after my own heart. Check out her clever use of materials for a side table. 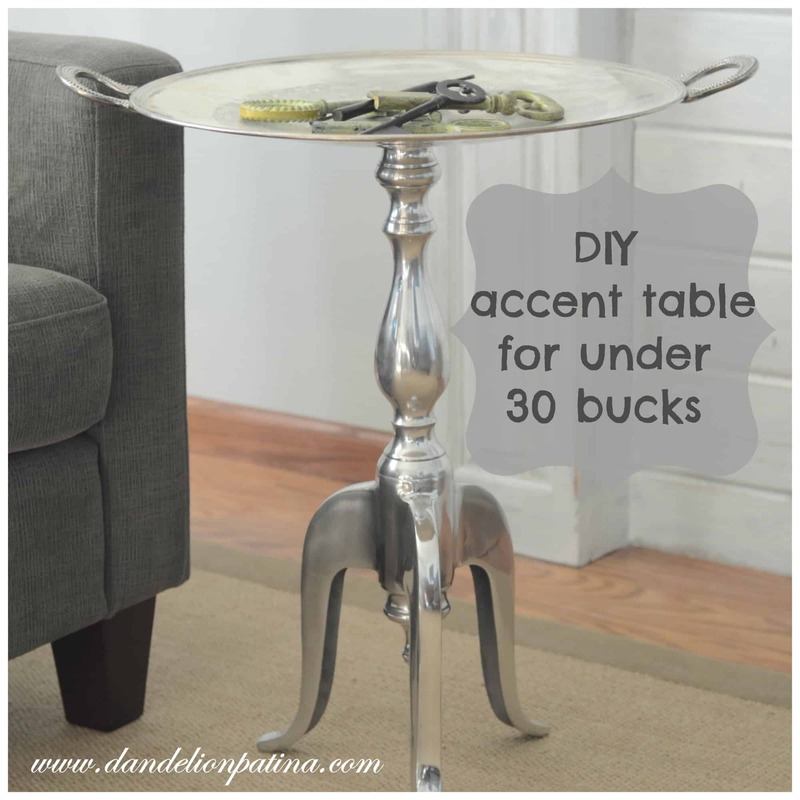 Kind of reminds me of this thrifty table I created from random parts. Hope you enjoyed my Blogland Tour! Next Monday, I’ll be sure to link up Lindee, Denise and Michelle’s Blogland posts so you can be inspired by their creative process.